Here is how people remember 80's makeup: flawless skin, with nary a freckle, wrinkle, circle or bag; lots of mascara and liner; eyeshadow that ranged from "smoky" to "jewel toned," but always definitely "there"; clear pink or fuchsia blush; strong lips, typically red, pink or fuchsia. 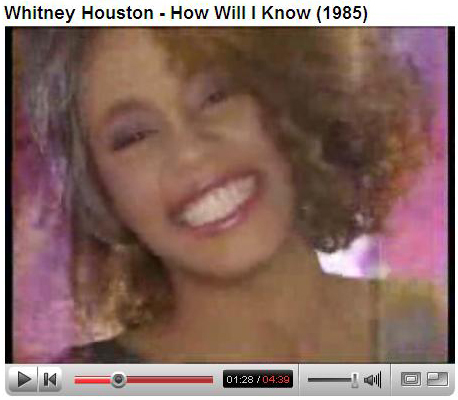 Okay I have no idea when this was filmed, but the song is from 1984. 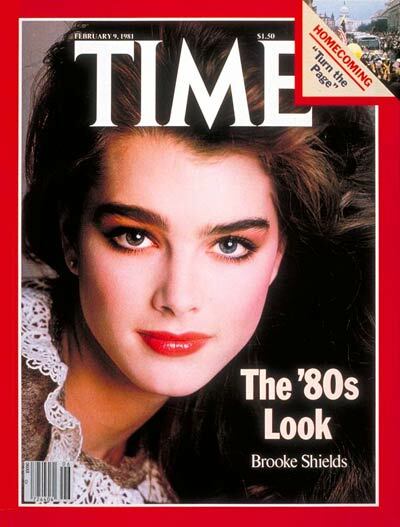 Looking at the current cover of W with Gisele, and the cover of Time with Brooke Shields, similar but different. Big, windblown hair? Check. Strong eyes? Check. Strong lips? Check. Strong face? Check. But it's different. For one thing, skin is treated entirely differently. Gisele's bronze all over, and her skin is dewy. There's a naked effect to the skin, though there's a bit of sculpting. Brooke Shields' skin is anything but naked: thick foundation that obliterates and recreates texture, with plenty of powder to set, and clear, bright blush. It has none of the translucence that Gisele's makeup has, perhaps a reflection of the products themselves. The new 80s makeup is bold but not quite so heavy--more a veil than a mask. Yeah, I can agree with that. The main difference is the foundation. Which is good.